Thanks so much for helping us promote our book! Below are some suggested copy and media to help you share. For more information about Catechism of the Seven Sacraments visit our retail customer page. Please feel free to use or edit the following suggestions on your social media posts. A LEGO® book on the sacraments? Yep, you read that right. Check it out and order today for First Communion or Confirmation gifts. http://www.storytel.org/catechism. 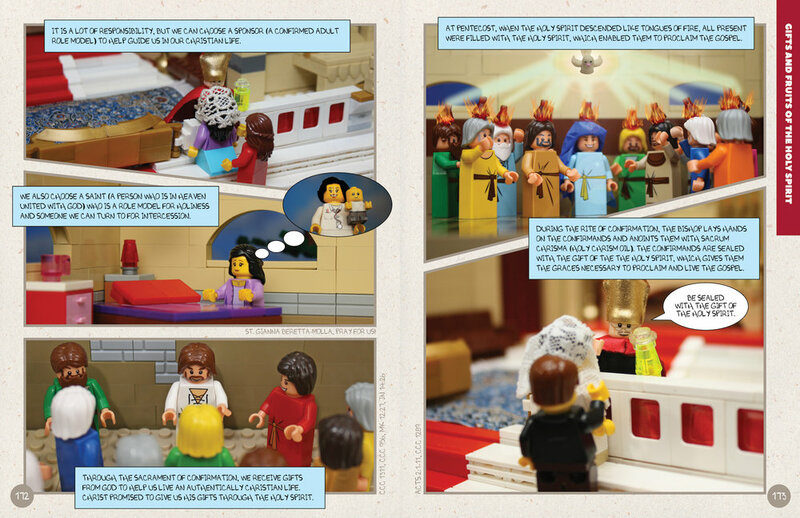 Check out this new sacrament book illustrated with LEGO® scenes! Watch the book trailer and order today for First Communion and Confirmation gifts. http://www.storytel.org/catechism#trailer. Hot off the press: sacrament book with LEGO® pictures! http://www.storytel.org/catechism.